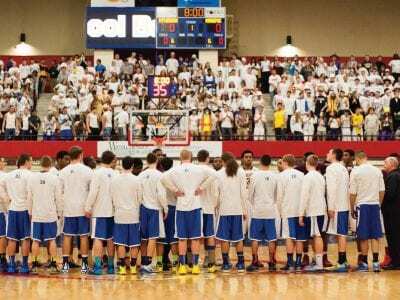 Mahopac and Mt. Vernon before the game. Mahopac’s cheering section is above. Calling it a “painful episode” in the history of the Mahopac School District, Superintendent Thomas Manko Tuesday said his district was taking disciplinary… Please login below or purchase a subscription to the Putnam County Courier to access this content. Two Communion chalices stolen from St. Lawrence O’Toole Church in what authorities called a shameless burglary were returned Tuesday unscathed. The chalices, worth about $2,000, are considered as sacred since according to the Rev. 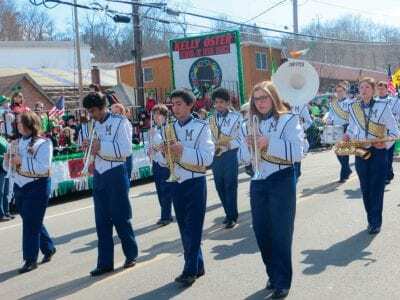 Richard Gill… Please login below or purchase a subscription to the Putnam County Courier to access this content. Sam Oliverio It’s now official: Putnam Legislator Sam Oliverio will be running for Putnam County Executive this fall. 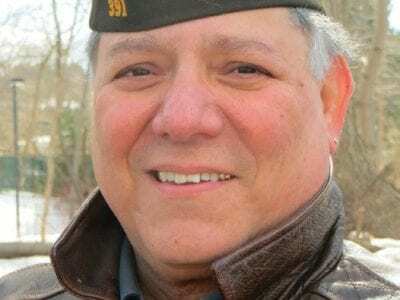 Oliverio, a Democrat from Putnam Valley who has served on the county legislature for the past 18 years, told the Courier last weeken… Please login below or purchase a subscription to the Putnam County Courier to access this content. Doreen Cazzari pins a new chief’s badge on her husband’s suit jacket following the swearing-in. 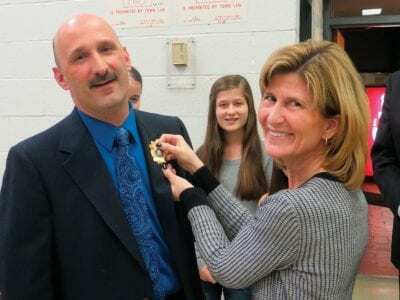 A veteran member of the Carmel Police Department who worked his way through the ranks has been appointed as chief of Putnam’s largest to… Please login below or purchase a subscription to the Putnam County Courier to access this content. Richard Ruchala discusses IDA affairs with Legislators Barbara Scuccimarra and Carl Albano at Monday’s meeting in Carmel. 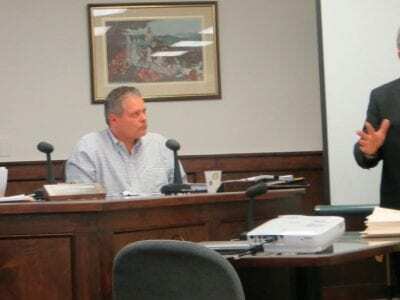 The Putnam County Industrial Development Agency came under the microscope Monday evening during a meeting of the county le… Please login below or purchase a subscription to the Putnam County Courier to access this content. 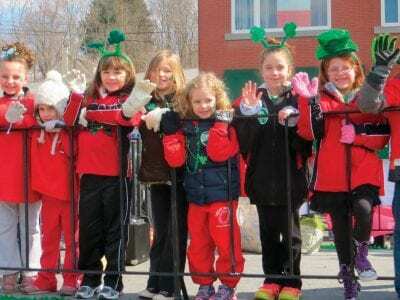 “T’was the day for the ‘wearin’ of the green” as thousands of marchers cheered on by enthusiastic crowds estimated at more than 7,500 jammed Route 6 in Mahopac Sunday for Putnam County’s 38th annual St. Patr… Please login below or purchase a subscription to the Putnam County Courier to access this content. Peekskill Clay Studios is offering an array of pottery classes, taught by instructors Jon Torres and Deborah Lecce, this spring. The following classes are with Torres: With Introduction to Clay, participants can learn either on the wheel pottery or… Please login below or purchase a subscription to the Putnam County Courier to access this content. 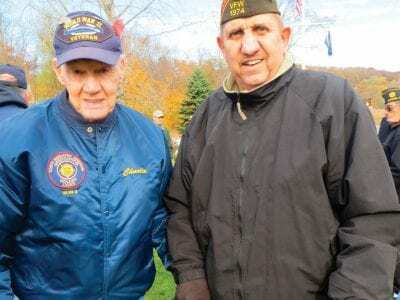 Jimmy See (right) stands with World War II veteran Charles Johansen at a Lake Carmel Veteran’s Day ceremony in 2012. Both patriots have now passed away. Family and friends are mourning the passing of Jimmy See of Carmel who was remembered last … Please login below or purchase a subscription to the Putnam County Courier to access this content.